Teeth can become stained by the foods and drinks we like, from smoking, and even normal aging. Veneers are available in numerous shades, from the most natural to the brightest Hollywood white. Teeth can become worn down from grinding habits, or may not have the shape or size you want to begin with. For example, some people consider rounder teeth more feminine and squarer teeth more masculine. 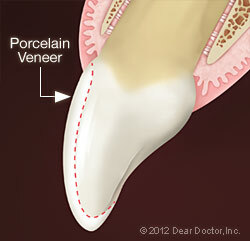 Veneers can be shaped and sized in whichever way is most flattering to your face. Veneers can be used to close small gaps between teeth or make slight corrections in alignment while improving tooth color and shape. 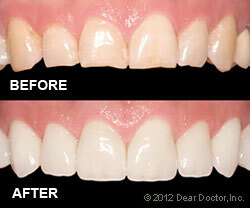 Improve the color, shape and alignment of your teeth with veneers. Call our Burlington, MA office at (781) 273-1152 to schedule a consultation today!